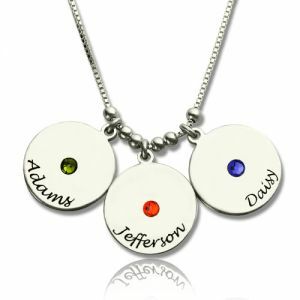 Mother's Day Gifts Disc and Birthstone Charm Necklace - Moms love anything that celebrates their children, which is why they are sure to love Mom Jewelry - Disc Children's Name & Birthstone Necklace. 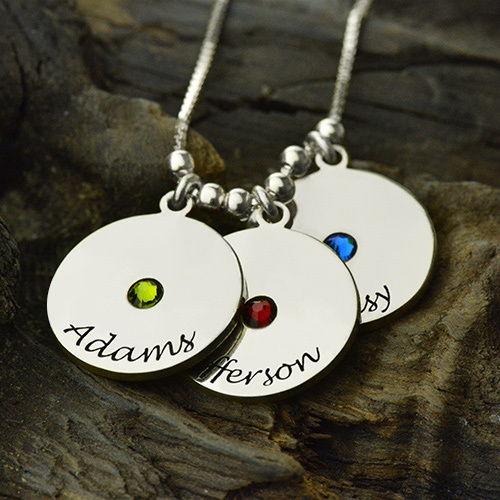 Engrave up to Five Discs with the names of the children and include a birthstone for each charm. 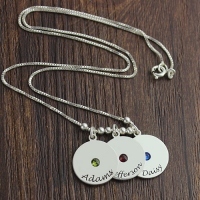 It is a great gift for mom any time of the year, including birthdays, Mother's Day, or Christmas. Any mom is sure to love and appreciate this necklace and wear it all the time. 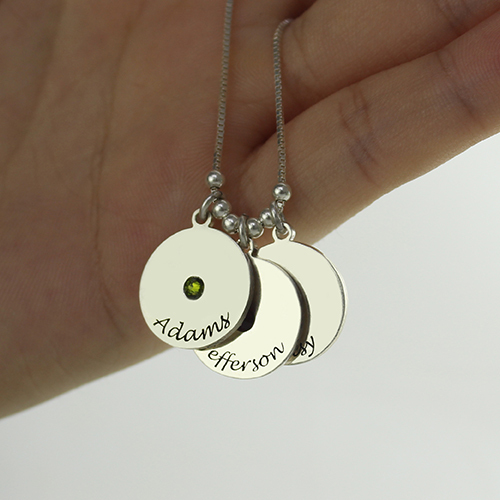 This Disc necklace for mom is made out of 0.925 Sterling Silver and hangs on a Sterling Silver Box Chain. Celebrate moms everywhere with our personalized jewelry for moms. Get your mom a gift she will treasure for years!